Join the WIT Women Business Owners Special Interest Group (WBO SIG) for an evening of designing, dreaming, and networking. During this interactive and dynamic workshop, relevant to business owners at ALL stages of growth, you will be guided through the process of creating YOUR dream board in the context of tribe development. A tribe is a group of people connected to one another, connected to a leader, and connected to an idea. As an important piece of your entrepreneurial journey, your dream board is the visual representation of knowing yourself, your business, and your tribe. This session will provide a jumpstart on putting clarity around your vision and goals through an interactive dream boarding activity that also focuses on your attributes as a leader of your “tribe”. Each attendee will leave the session with new ideas and colleagues and their very own dream board. 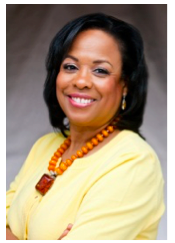 Ms. Robin McDougal, CEO e-Glam, Inc., will lead the dream board working session and will share her inspiring story of how her dream board was instrumental in her current journey. Dr. Arti Patel Varanasi, President & CEO, Advancing Synergy, LLC, will lead the Participant Sharing and Learning portion of the program. Boards and other supplies will be provided. You may bring your own supplies as well. Please bring at least 5 magazines to share with the group. The magazines will provide the pictures and words for the dream boards. If you prefer to create your dream board electronically, bring your laptop. Pre-registration for this event has closed, but walk-ins are welcome. The session includes dinner, networking, featured presentation, and working session. The session is designed to be interactive and educational with take-away action items for next steps. Robin McDougal, CEO e-GLAM, Inc.
Robin McDougal is the 2017-2018 Chair of Women Business Owner SIG and CEO of a technology accessories company, e-GLAM, Inc. After starting a business with pocket change and a dream, she has learned first-hand that there is a difference between running a small business and steering a thriving enterprise. Robin’s business acumen has been honed over the years as a marketing executive for an international airline (TWA), Marriott Corporation, and high-end executive furniture manufactures. She was charged with developing and marketing new products for targeted audiences. She has specialized in data analysis, market intelligence, and impact strategy to bring products to market. Robin received her B.S degree in Education from Springfield College in Massachusetts, and attended George Mason University where she received a M.Ed. in Curriculum Design. In addition, she continued to study at George Mason University in the Executive MBA program in Global Business. When she is not growing her business, she indulges her passion for philanthropy. A few years ago, she founded a not-for-profit, The Pearl Project Institute for Innovation in STEM Literacy. The Pearl Project Institute is a STEM advocacy organization designed to remove barriers to STEM literacy for youth, especially girls. As an entrepreneur, educator, and STEM Advocate, she combines her business acumen, education certifications in curriculum design, experience in product design to increase STEM Literacy in the neediest communities. Initial funding for the Pearl Project has been provided by the National Girls Collaborative, the e-GLAM Corporation, Educators 2.0, Inc., Magic Johnson Foundation, ImmediaMobile, Suburban Entertainment, Inc. and the Women In Technology Education Foundation. Curricular support is provided by National Geographic’s JASON Project. 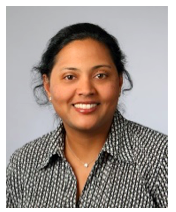 As President and CEO of Advancing Synergy, LLC, Dr. Arti Patel Varanasi is passionate about developing innovations that empower all individuals to lead healthier and longer lives. She has over 25 years combined experience in cancer research, advocacy, capacity building, health care, public health and project management. Dr. Varanasi’s ultimate goal is to work across sectors to “advance synergy” and develop tools and technologies that help to build sustainable health capacity in resource limited settings. She is empowered to take inventions and discoveries out of the laboratory and into the hands of the people. Advancing Synergy is creating solutions that mobilize technology and human capital to coordinate care across the cancer continuum from prevention through survivorship. Dr. Varanasi is determined to ensure that all individuals faced with a family history or diagnoses of cancer receive the right information at the right time to optimize treatment and improve overall health outcomes. In collaboration with the Prevention and Research Center at Mercy Medical Center in Baltimore, Advancing Synergy is providing low-income women going through breast cancer treatment in Maryland with needed information and support through a web-based application and virtual outreach program. This collaboration represents Advancing Synergy’s commitment to working closely with research institutions, health care providers, the community and relevant stakeholders to develop solutions that are timely, evidence-based and effective. Dr. Varanasi received her PhD from the University of North Carolina at Chapel Hill and MPH from the Johns Hopkins University. She is a graduate of the National Science Foundation funded ACTiVATE® program for women technology entrepreneurs. Dr. Varanasi has a long-standing track record of advocacy, mentoring and empowerment. She has been an advocate and role model for improving the training of scientists-in-training since graduate school. Her wide and varied experience includes founding three different advocacy organizations that have grown into sustainable entities.